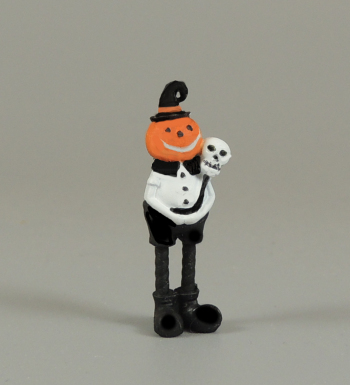 Cute figurine of Pumpkin headed boy. Love his twisty legs! He looks great with his compainon Cat Boy also. Highly detailed 3D resin printed. Ready to paint. Available in two sizes, 1 1/4" and 1". Use dropdown menu above to select size.